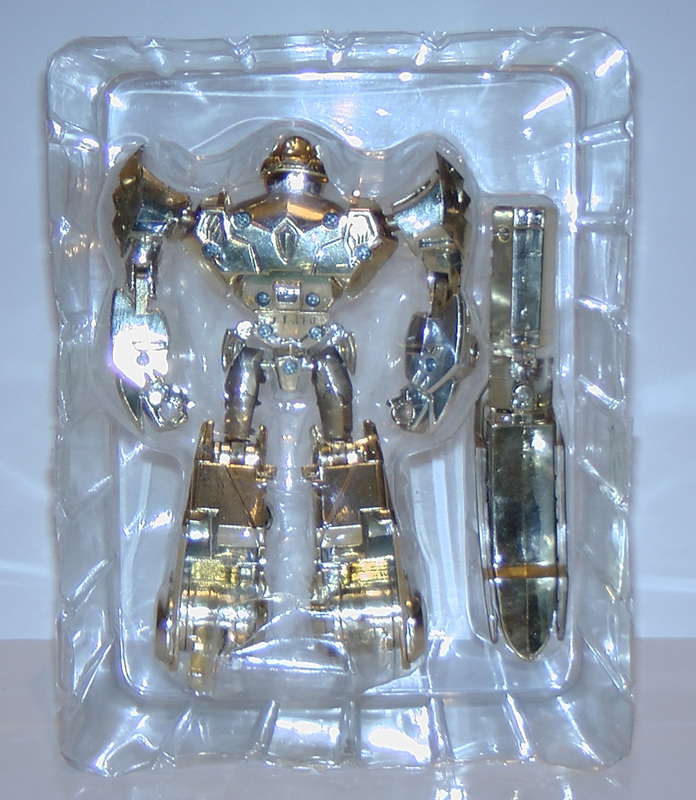 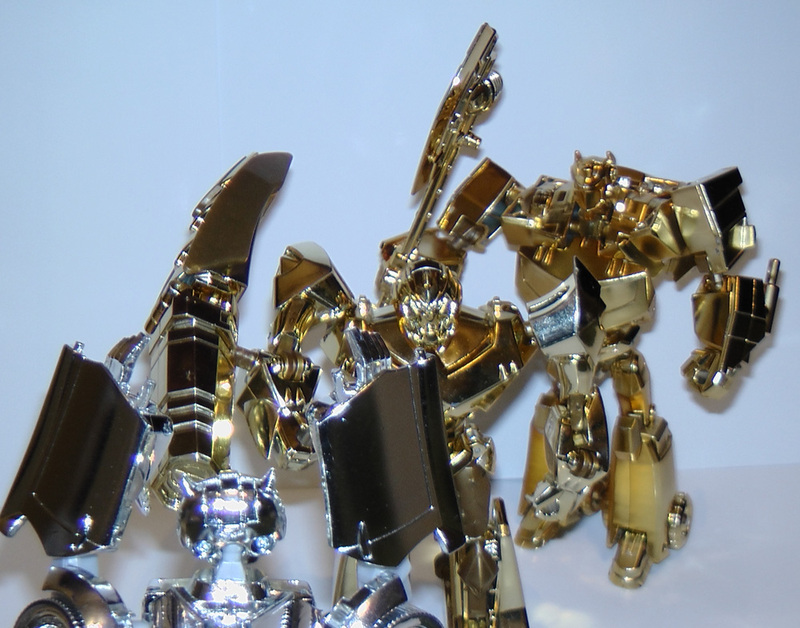 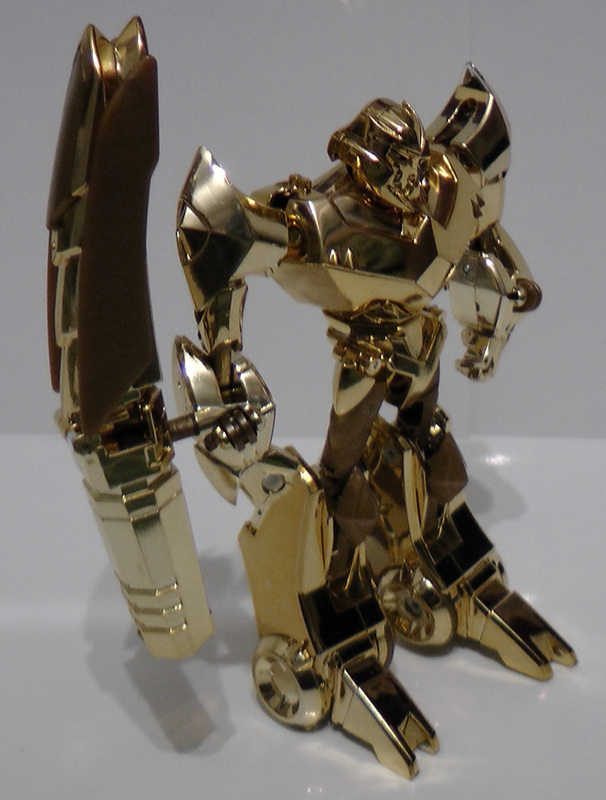 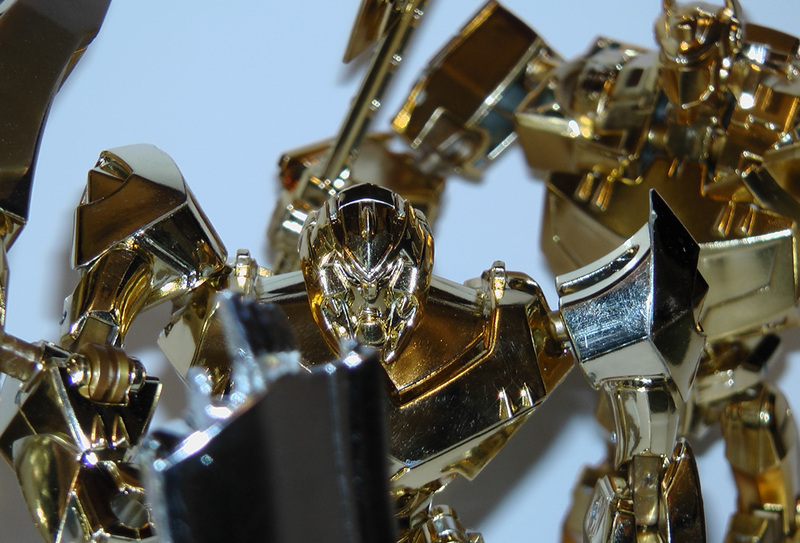 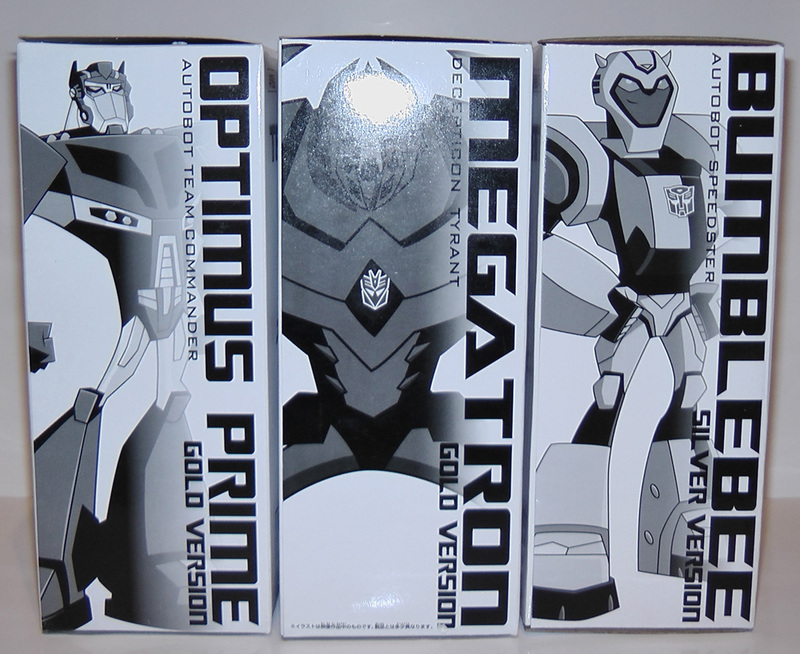 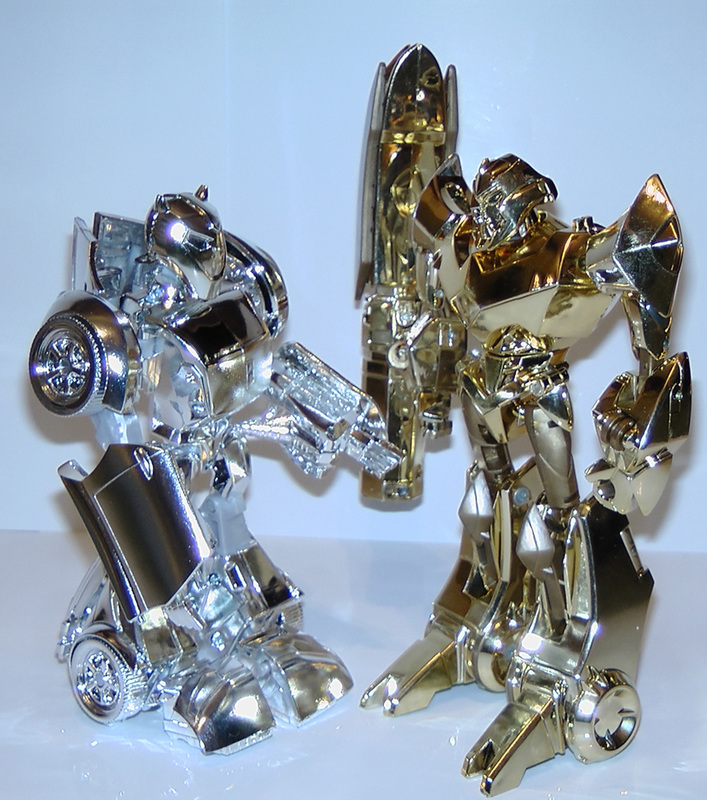 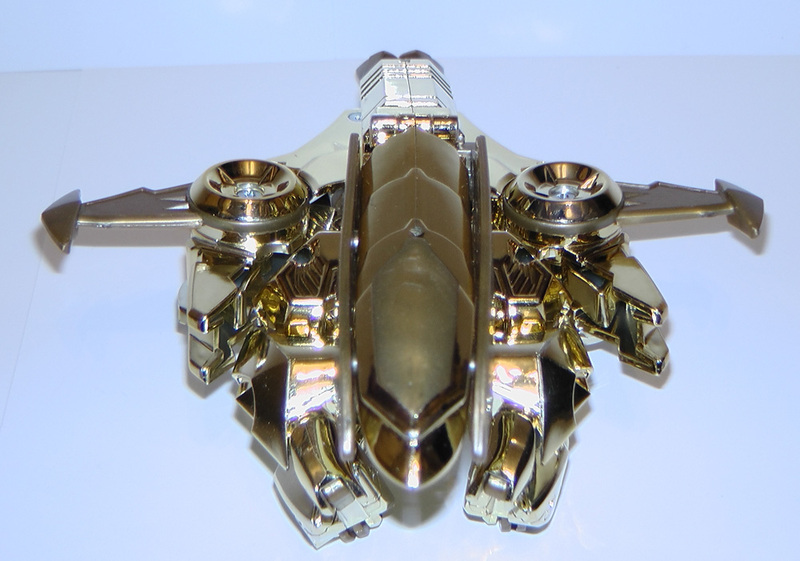 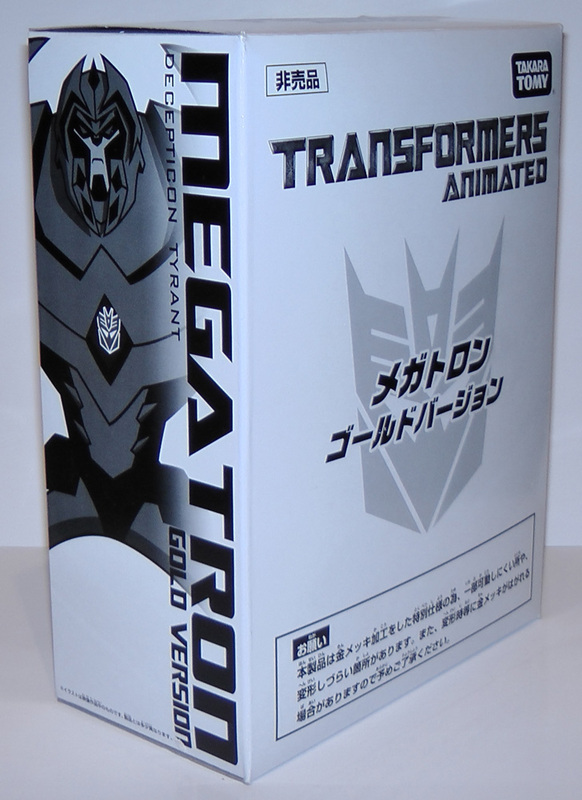 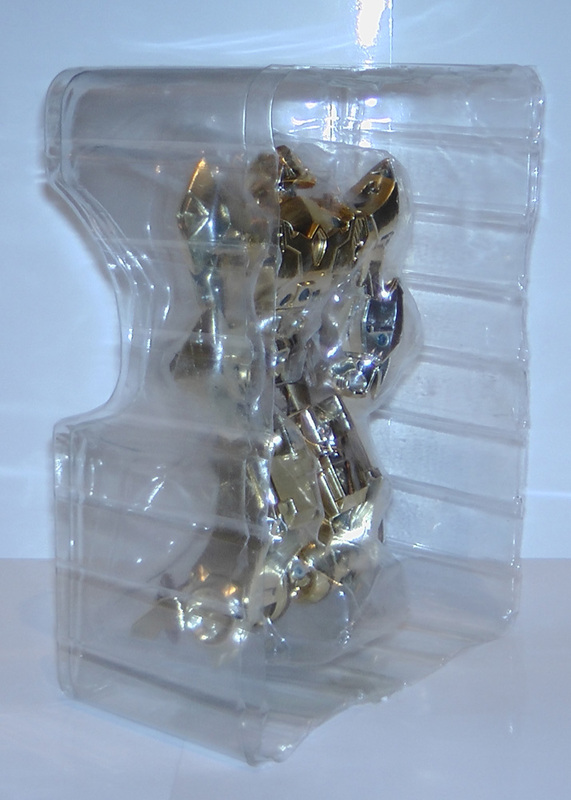 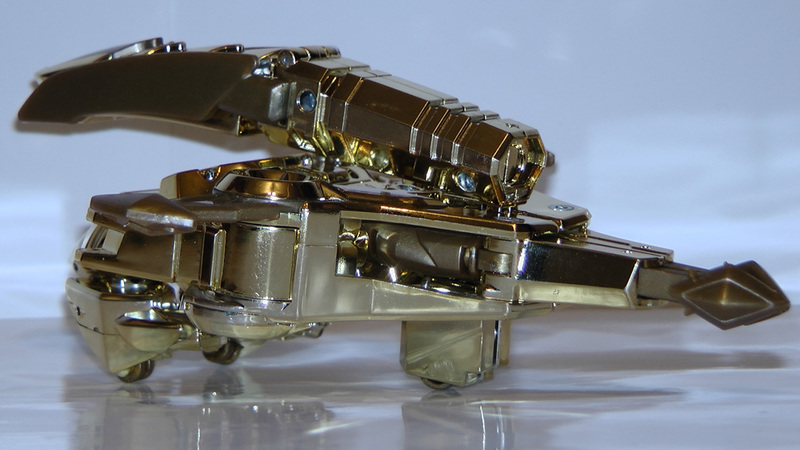 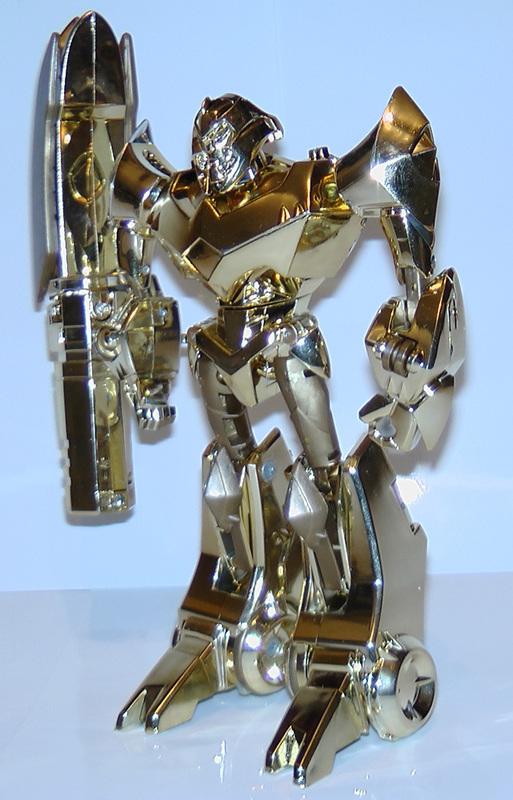 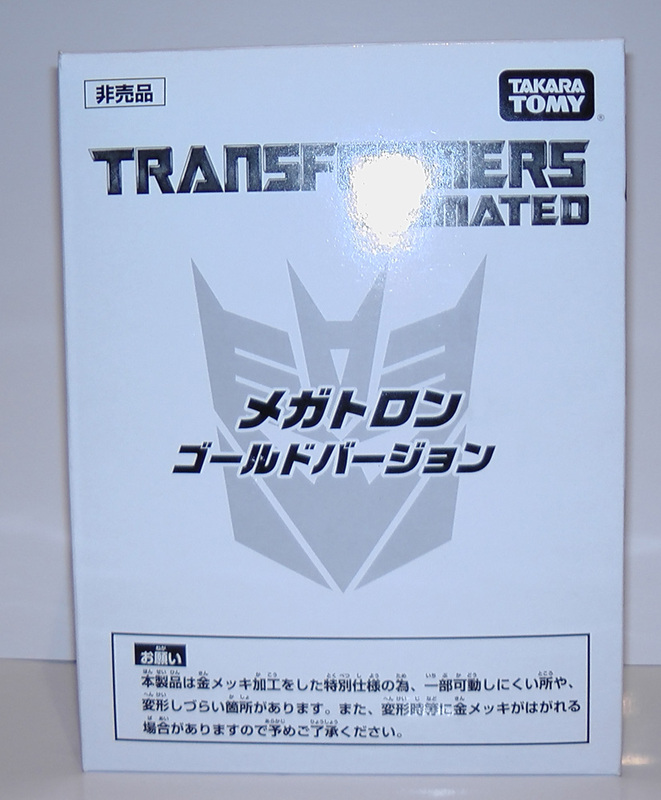 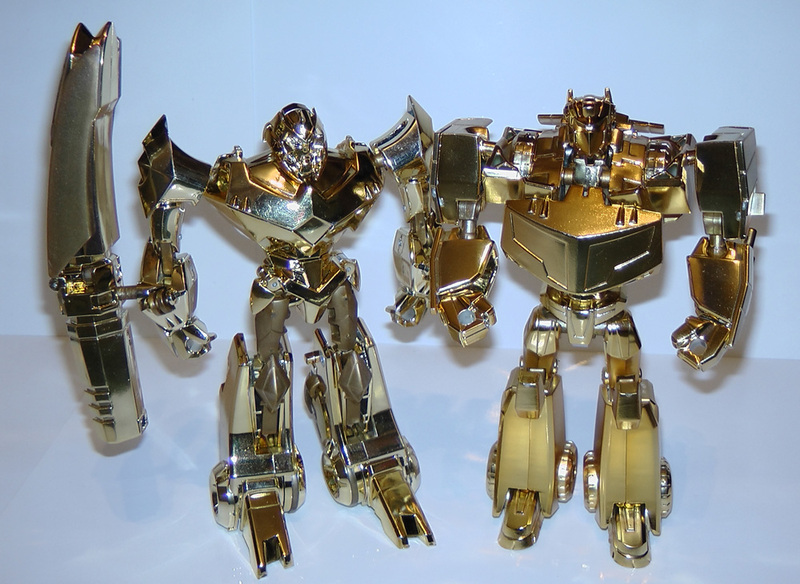 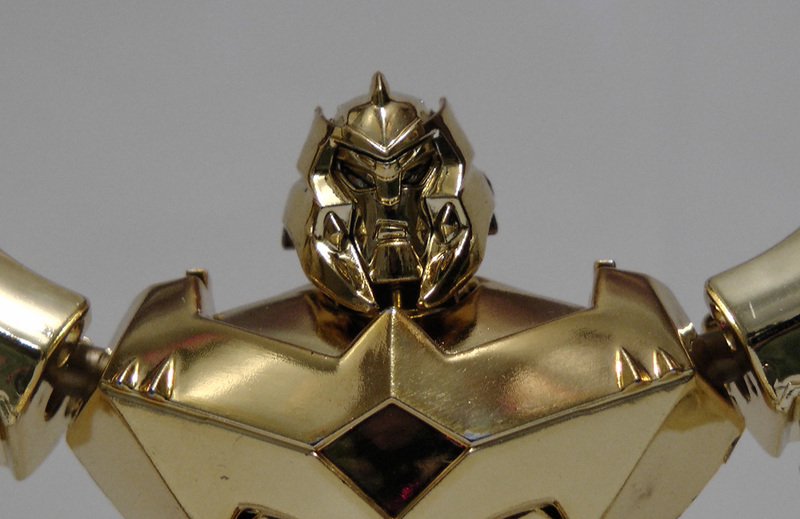 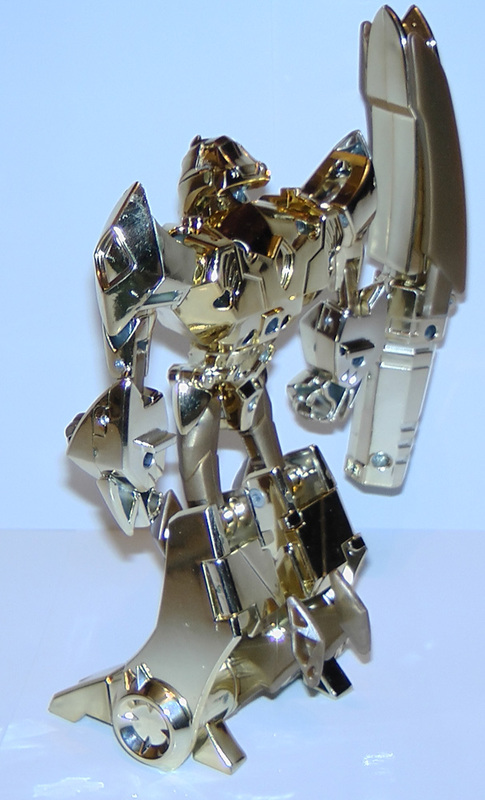 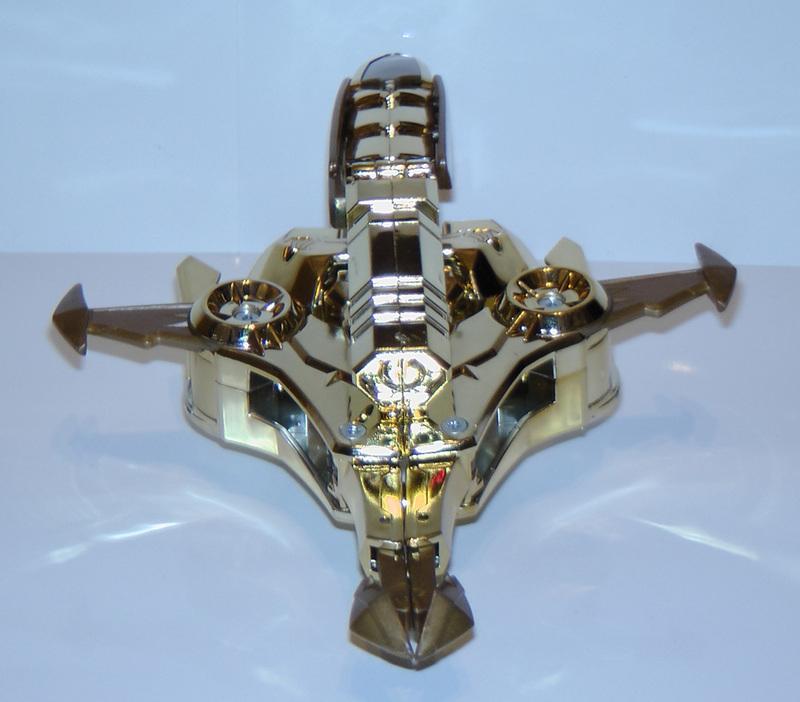 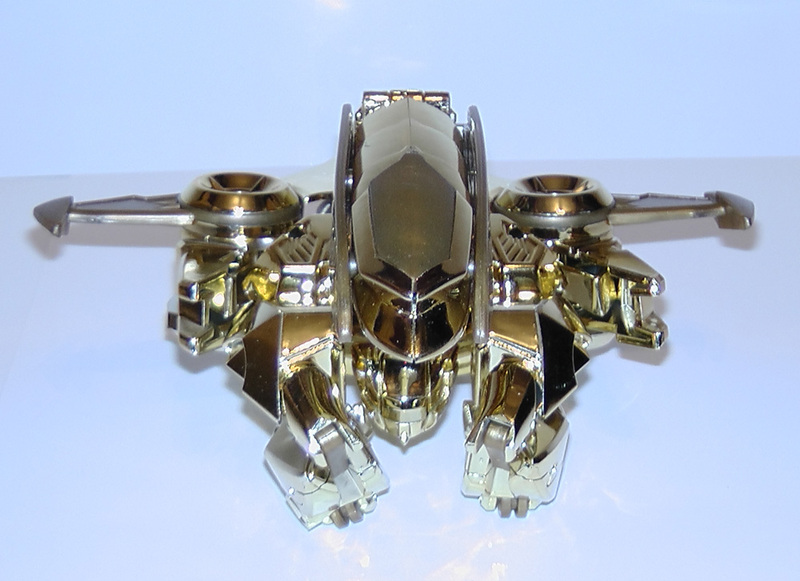 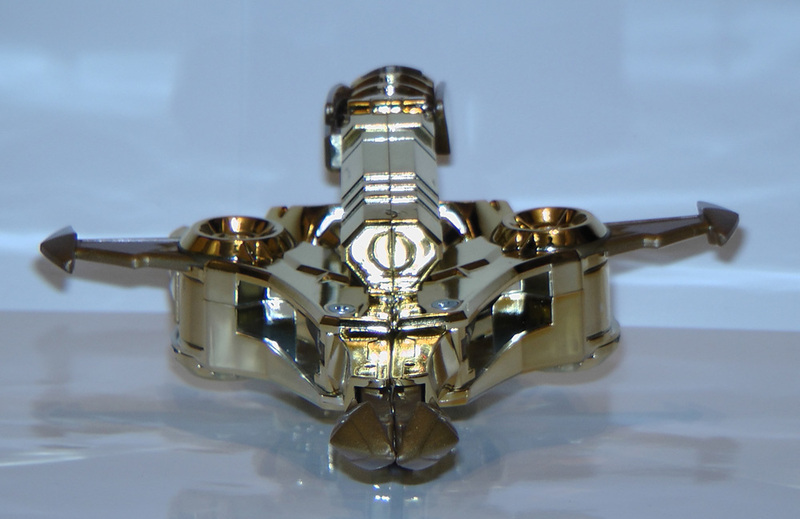 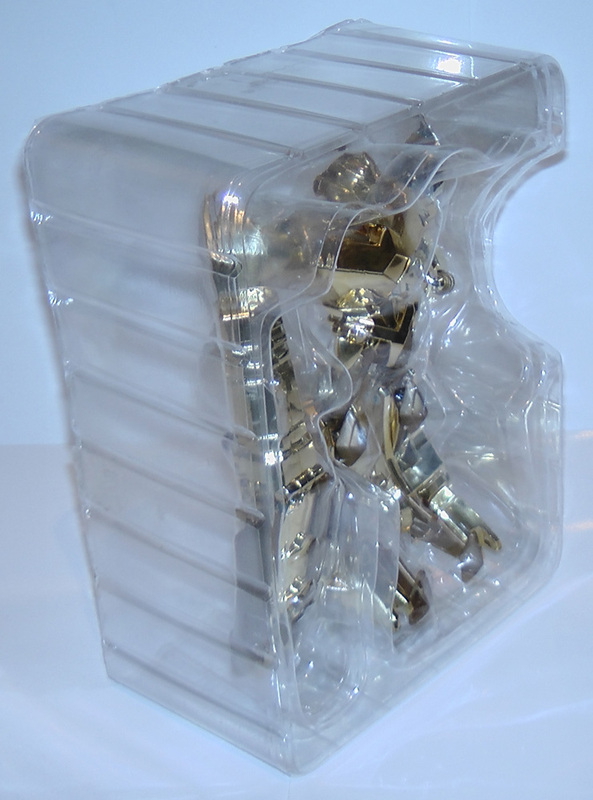 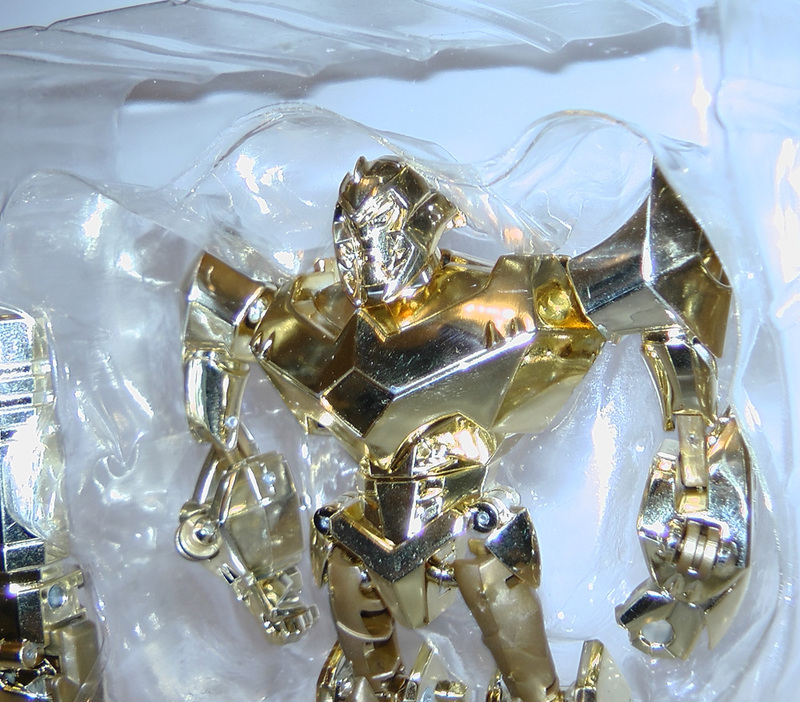 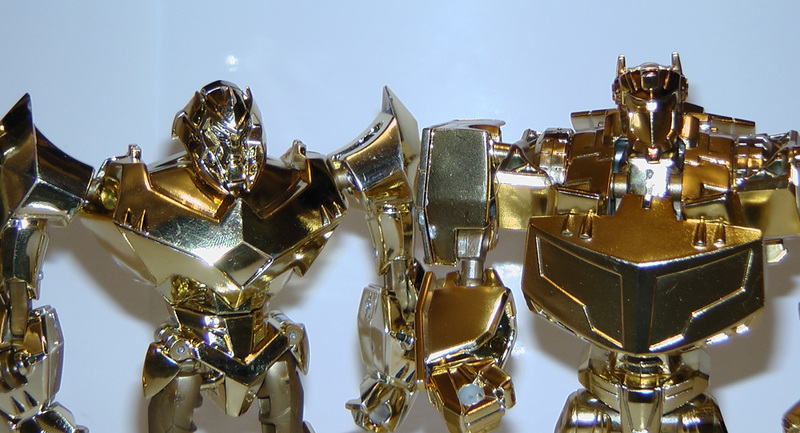 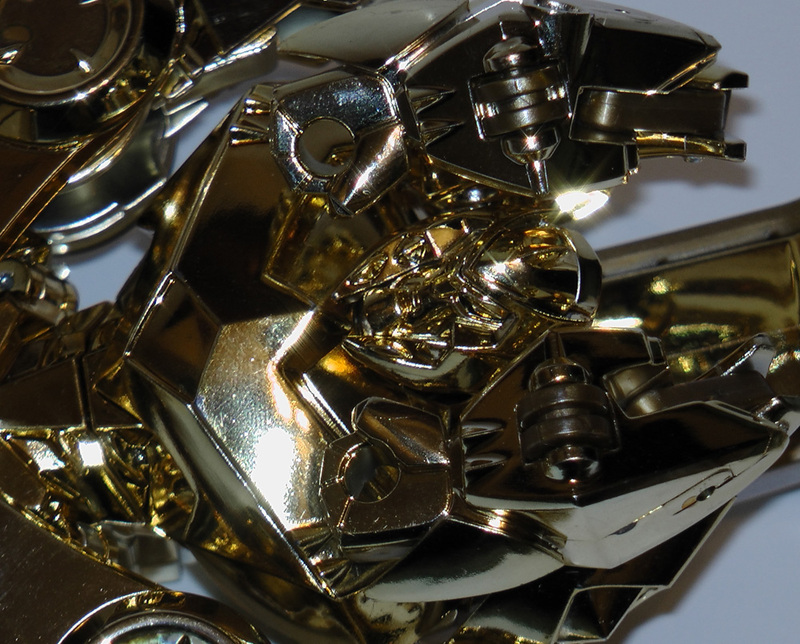 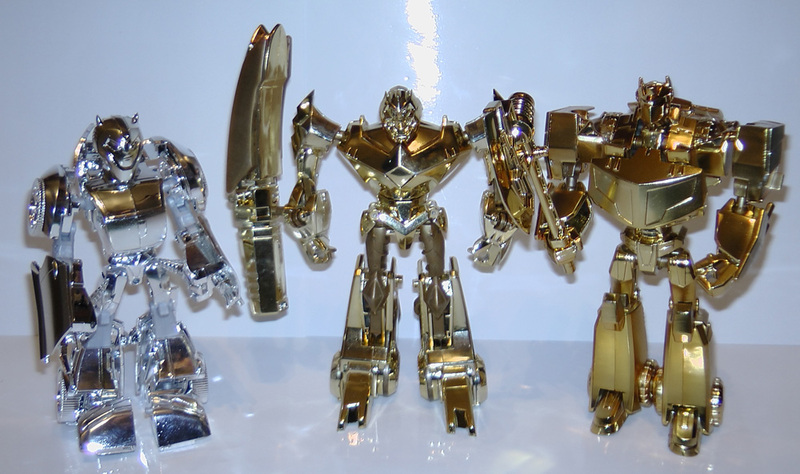 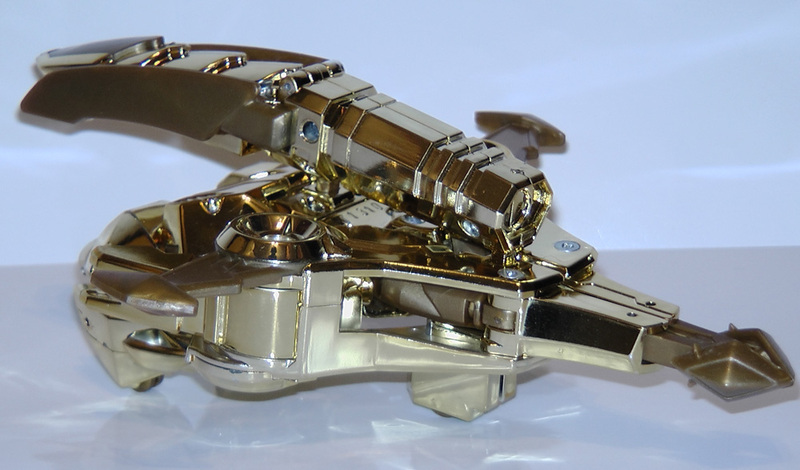 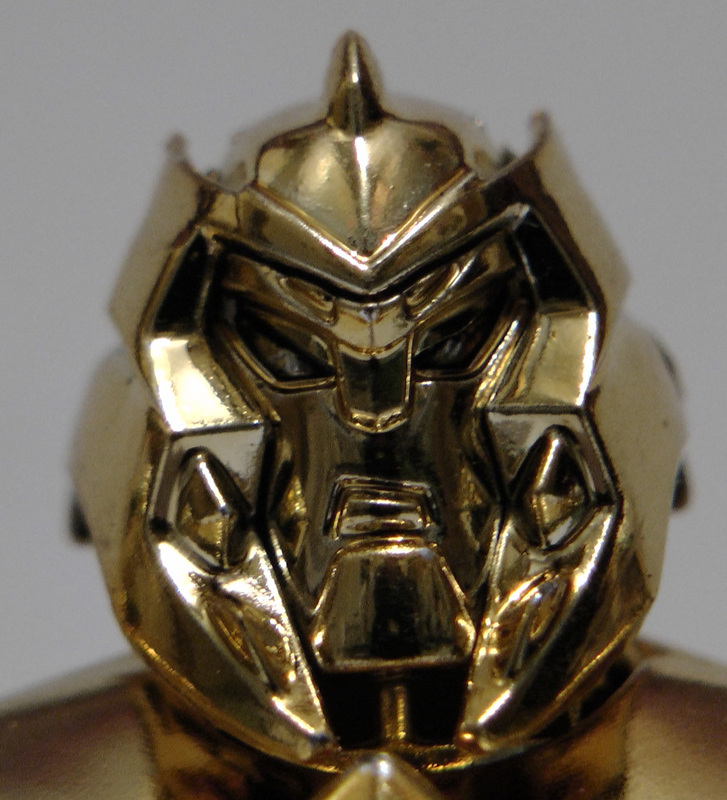 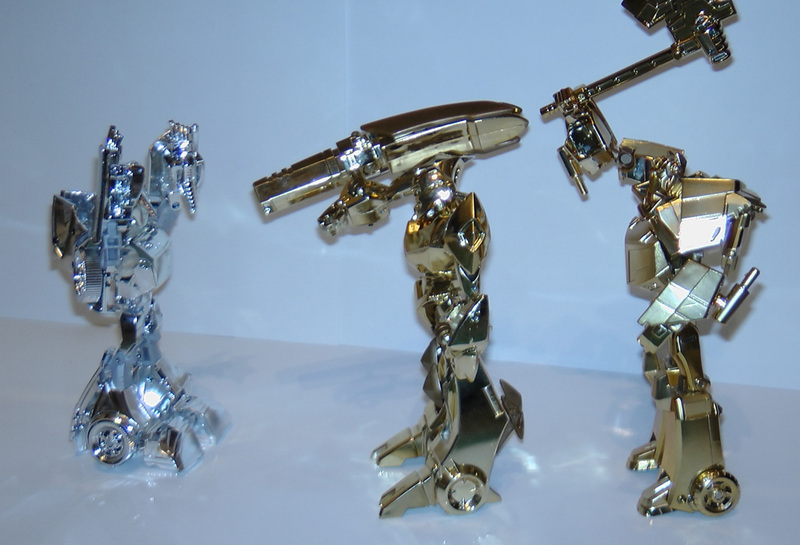 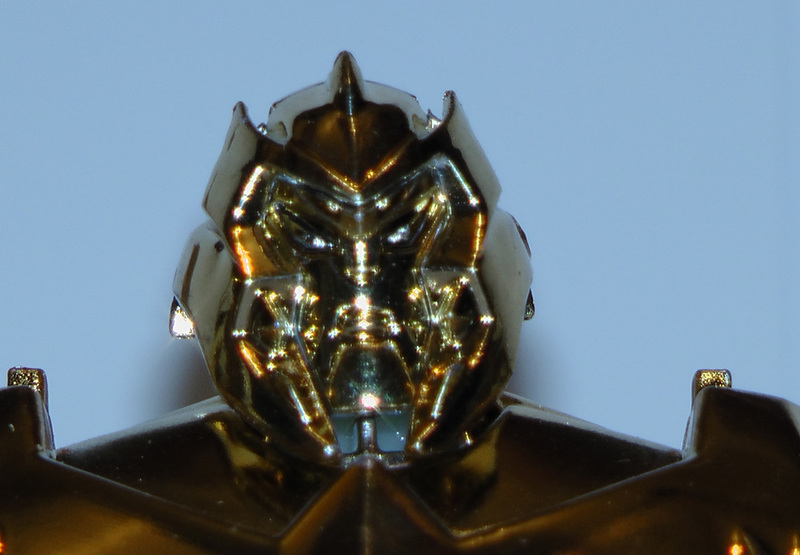 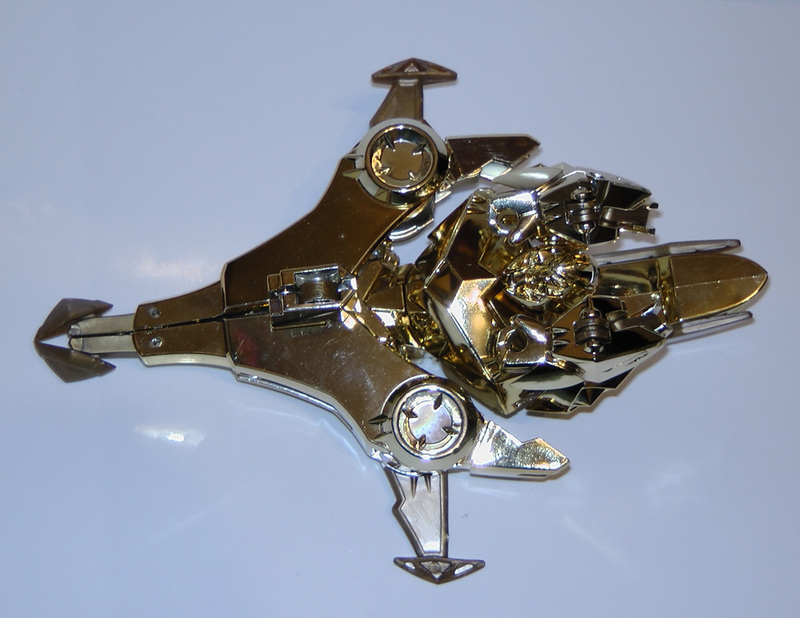 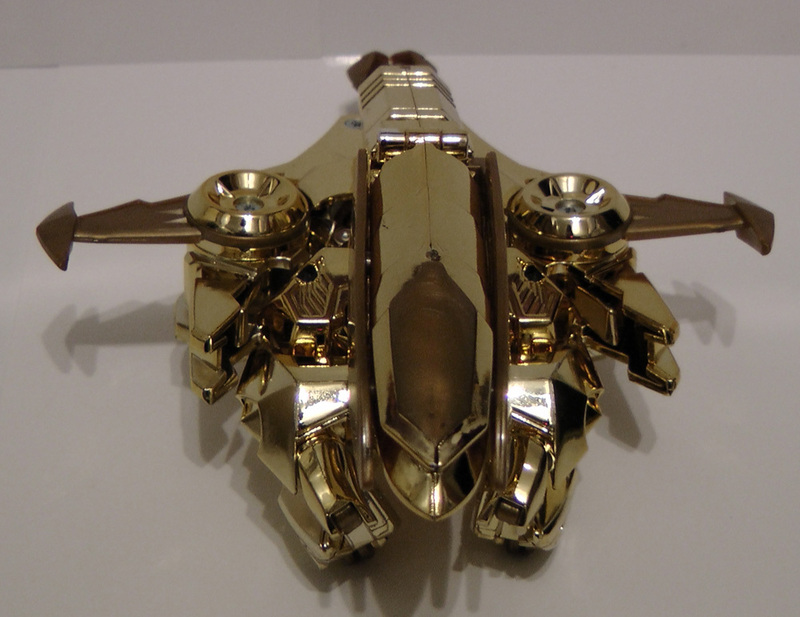 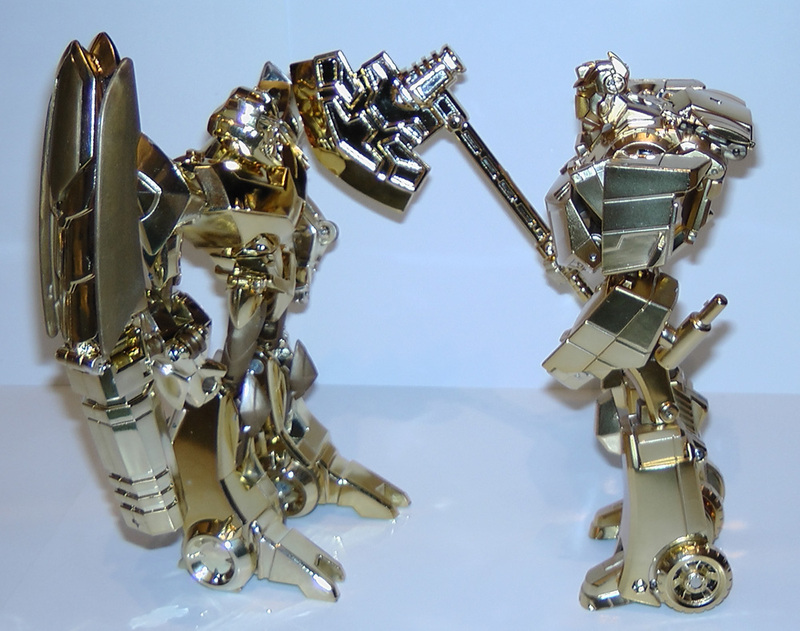 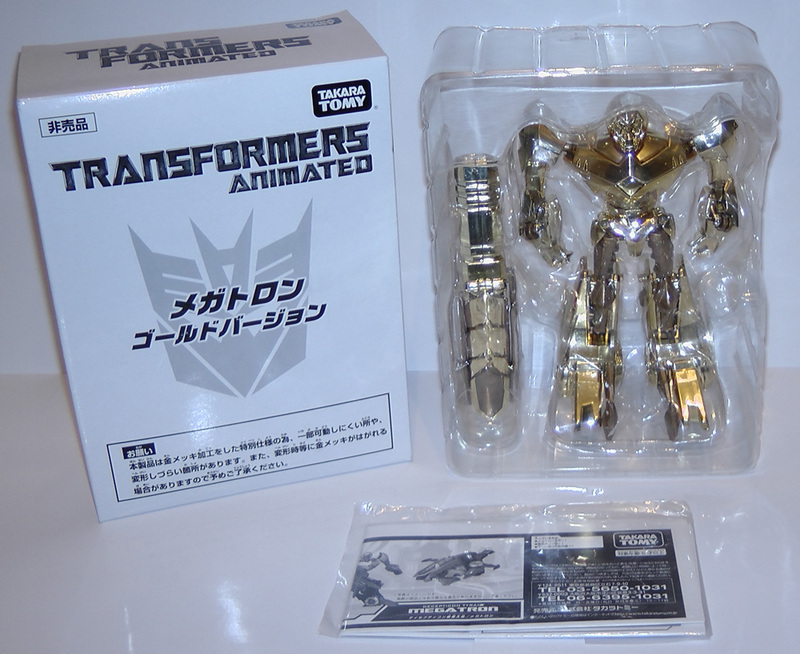 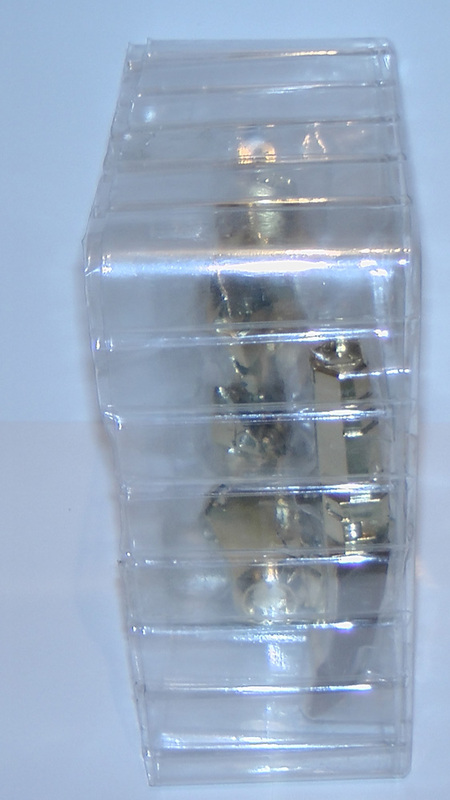 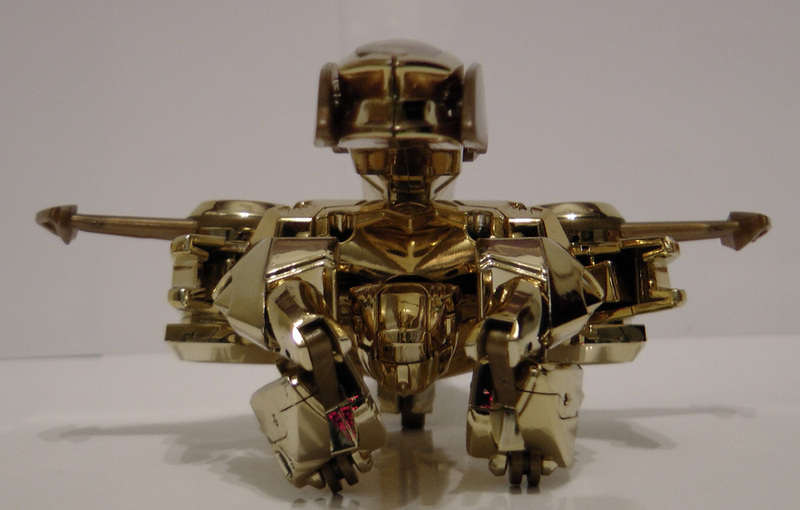 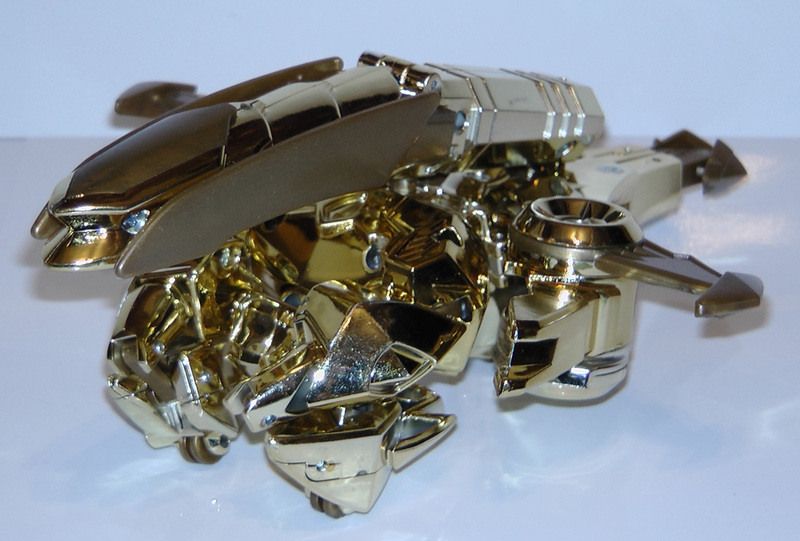 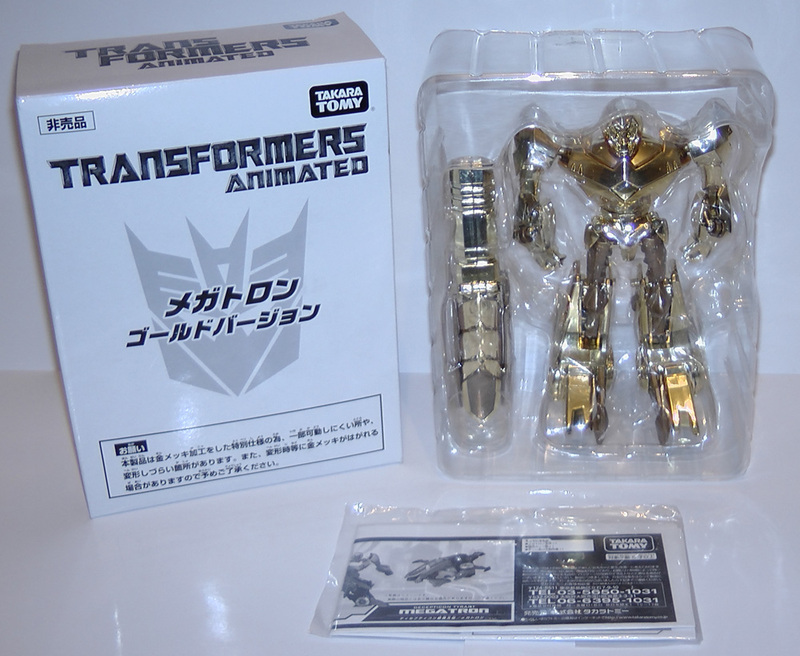 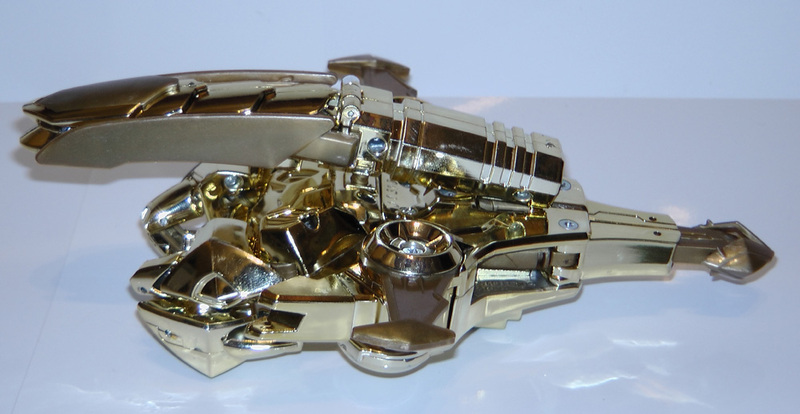 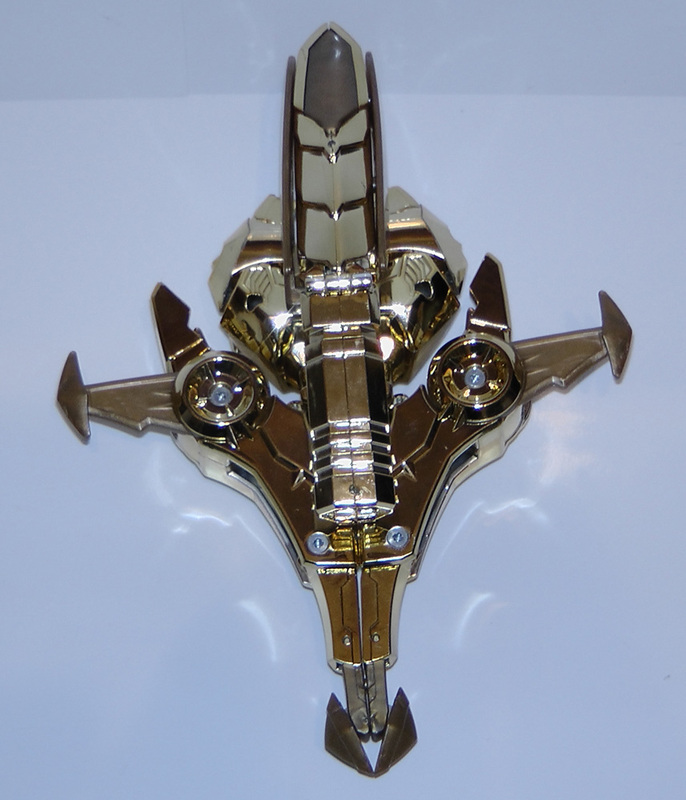 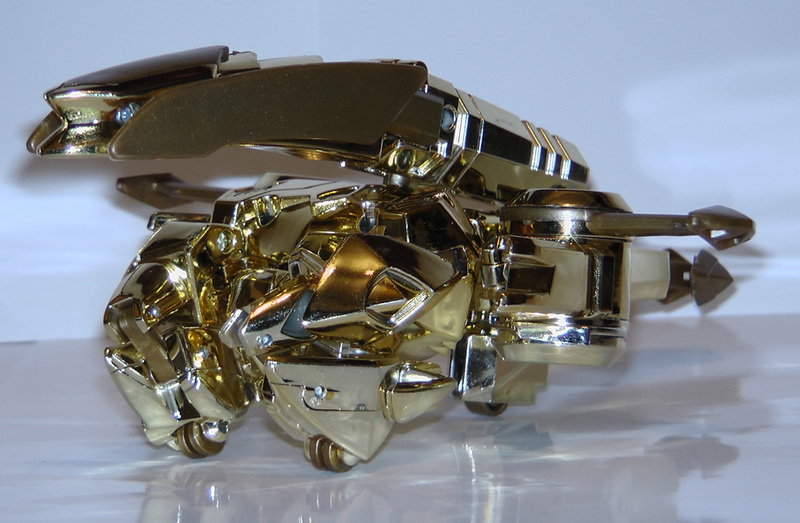 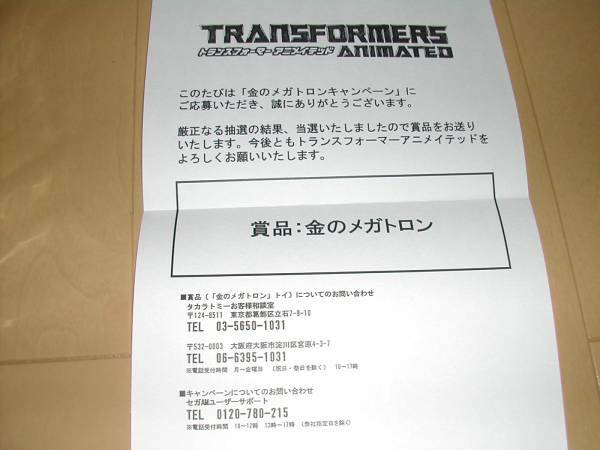 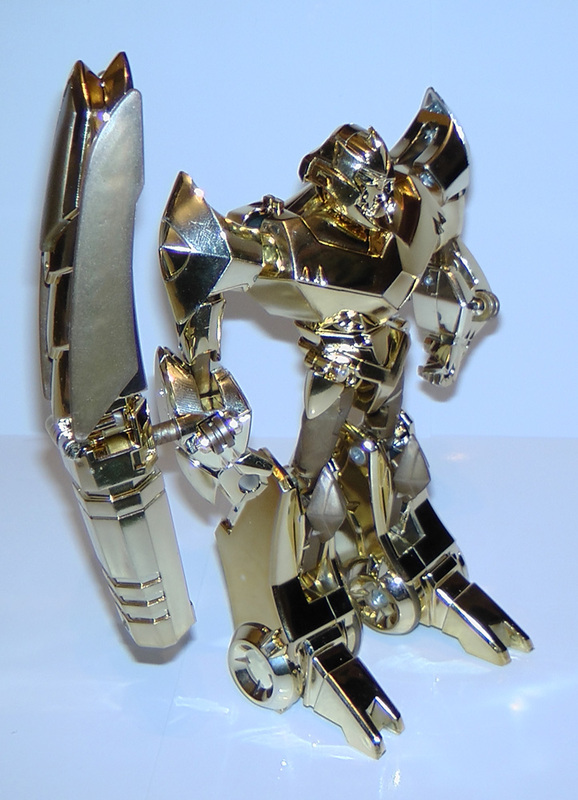 Following on from their Lucky Draw Transformers Animated Optimus Prime Gold Version, TakaraTomy, Sega and Paramount Pictures worked together to produce the third Transformers Animated Lucky Draw figure (after Gold Prime and Silver Bumblebee) which will was a gold chrome deluxe Megatron figure. 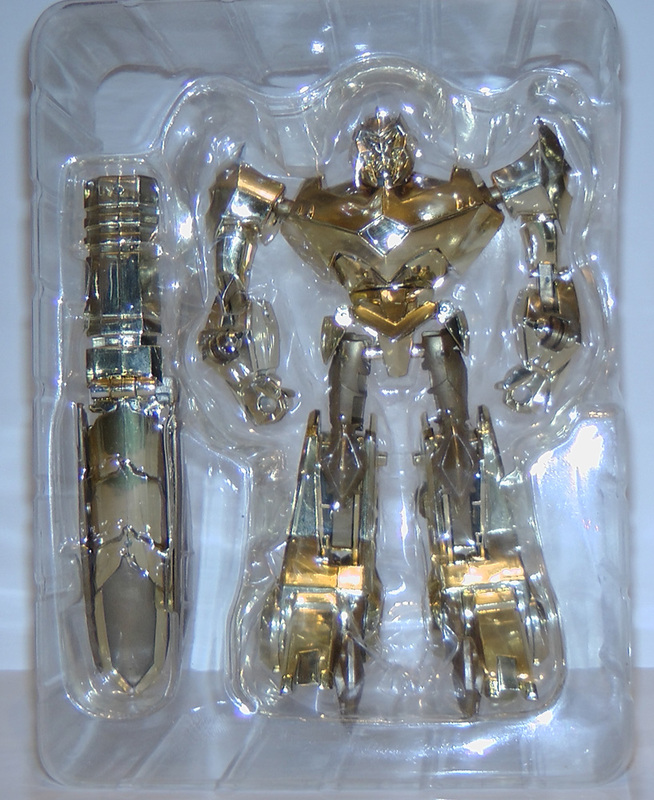 Much like the Optimus Prime before him, the figure was officially limited to 1000 pieces with the prize campaign this time running between 1st November 2010 and the 16th Jan 2011. 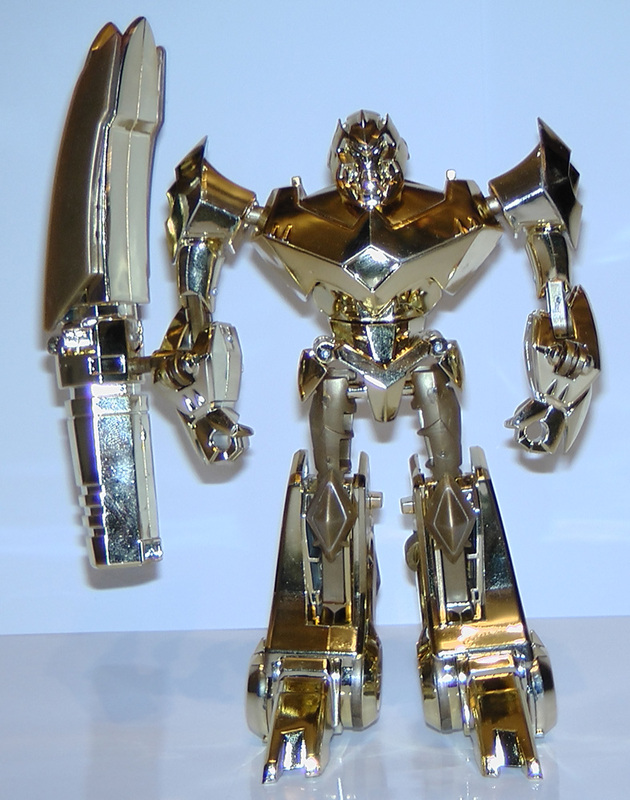 The Lucky Draw Transformers Animated Megatron gold version is very simliar to the Optimus Prime, as you would no doubt have expected, but unlike Prime and, to a greater extent Bumblebee, Megatron does not suffer from the chrome jaming up his Transformation as much. 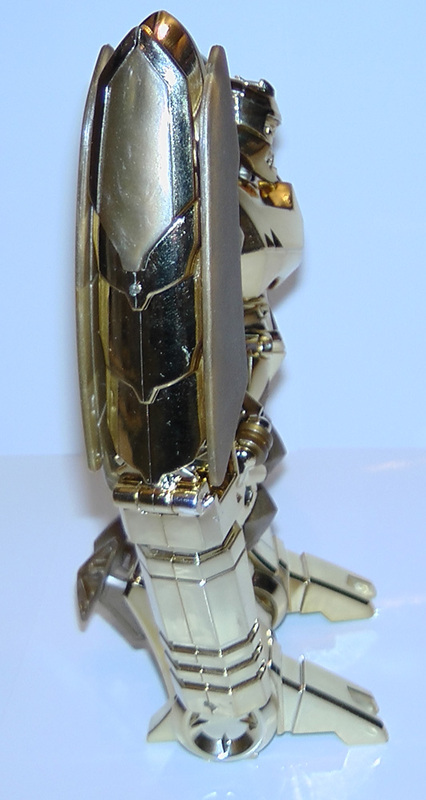 Sure the feet and arms are a little stiff, but because of his transformation TFA Megatron actually pulls of the chroming without loosing his ability to shift forms. 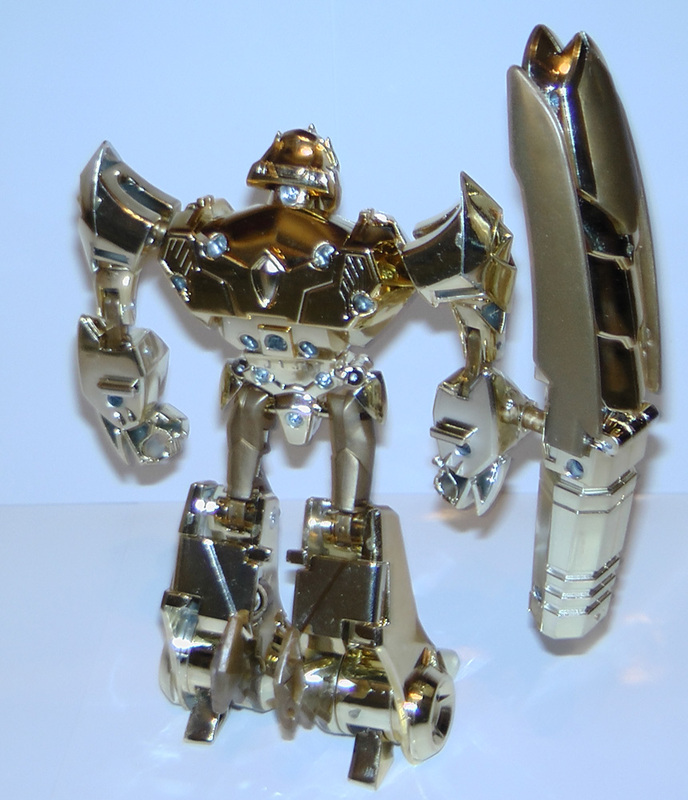 The same can not be said for his cannon though. 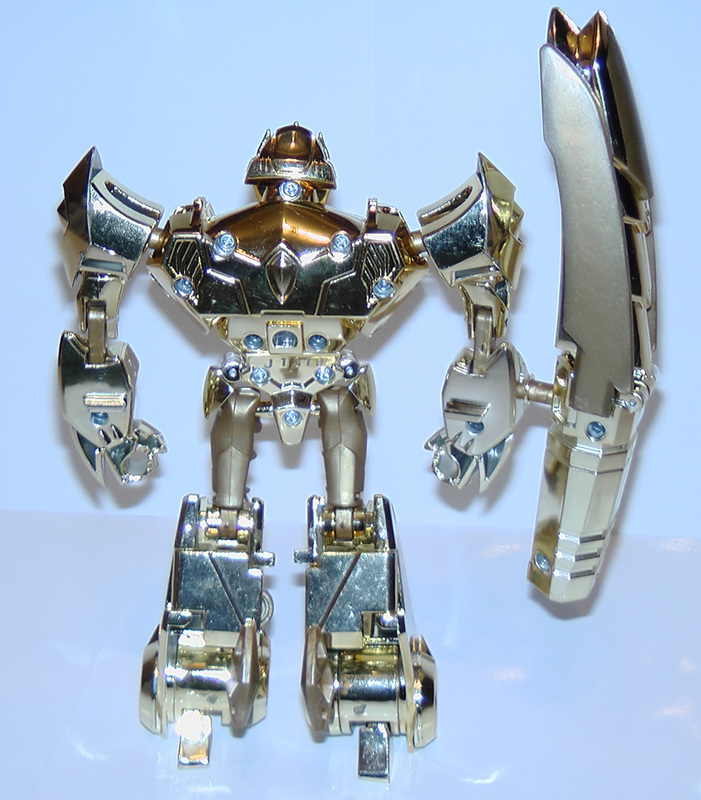 The gold chrome means that the plastic knob on the blade fits it a little too snuggly and, unless excessive force is applied (which I won't do), you won't be changing his cannon into his sword anytime soon. 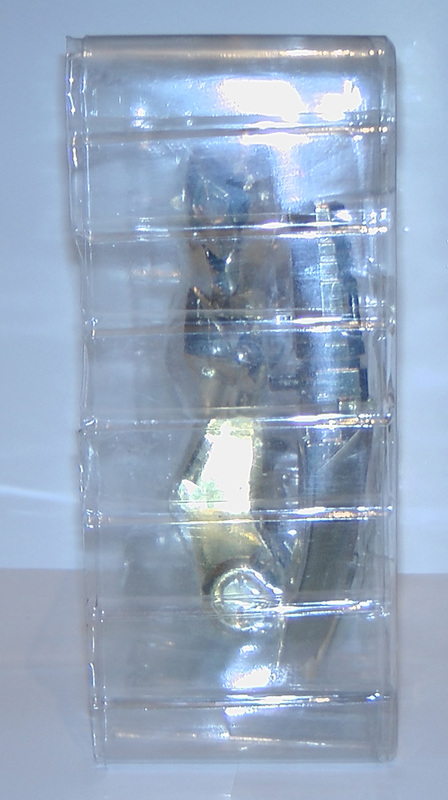 Megatron's body even survives the chrome where it is jointed which was quiet a suprise to me. 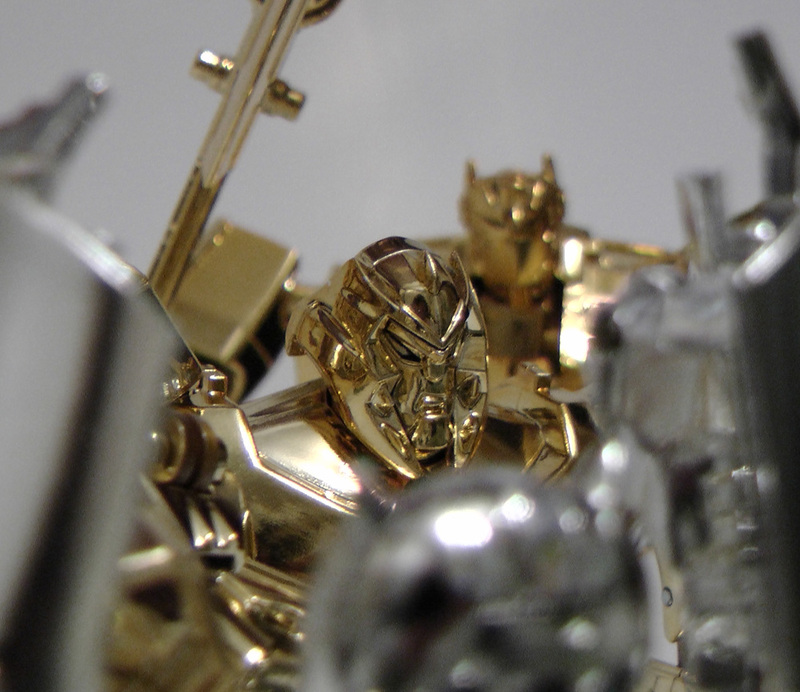 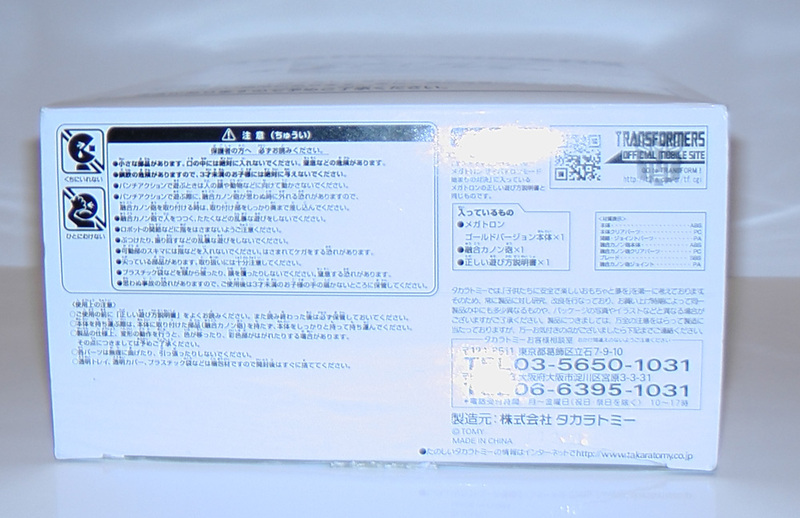 His face also uses the chroming to highlight some of the details that you may have missed on the normal figure. 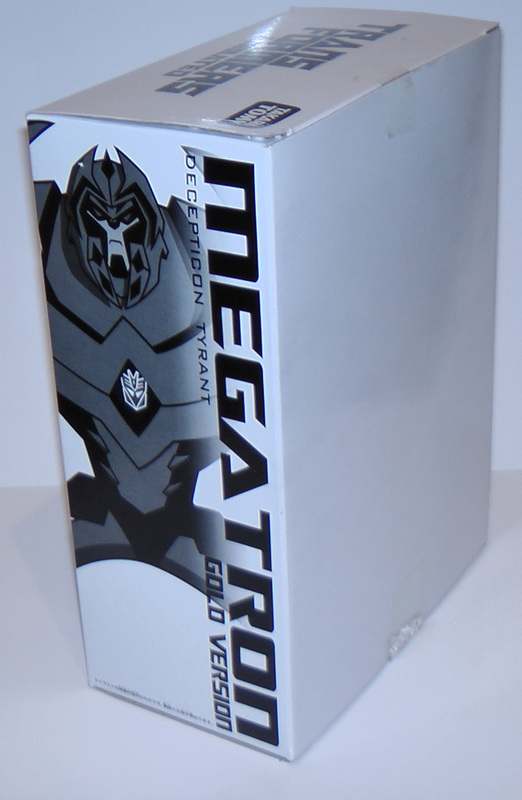 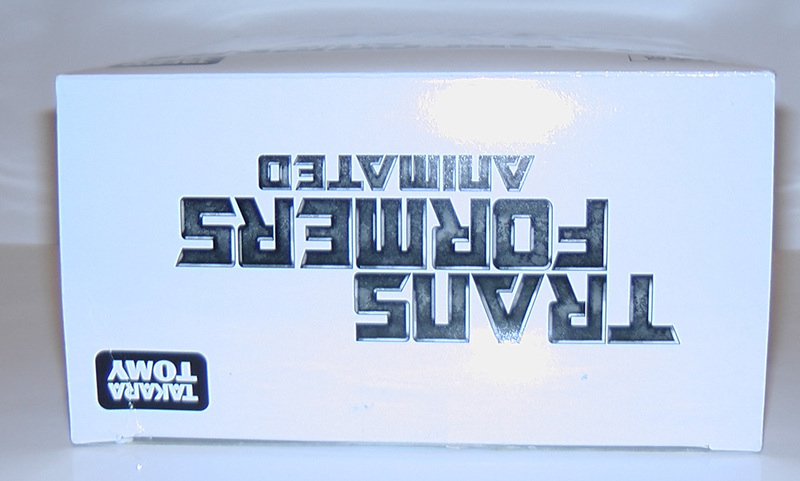 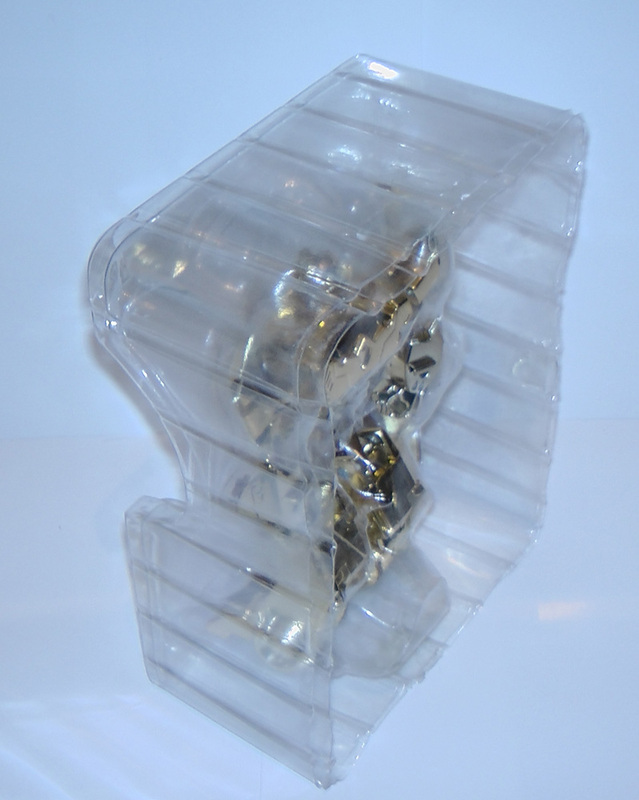 Box wise, Megatron comes in a plastic case like Prime which helps to hold him in place unlike the cardboard box that Bumblebee is placed in. 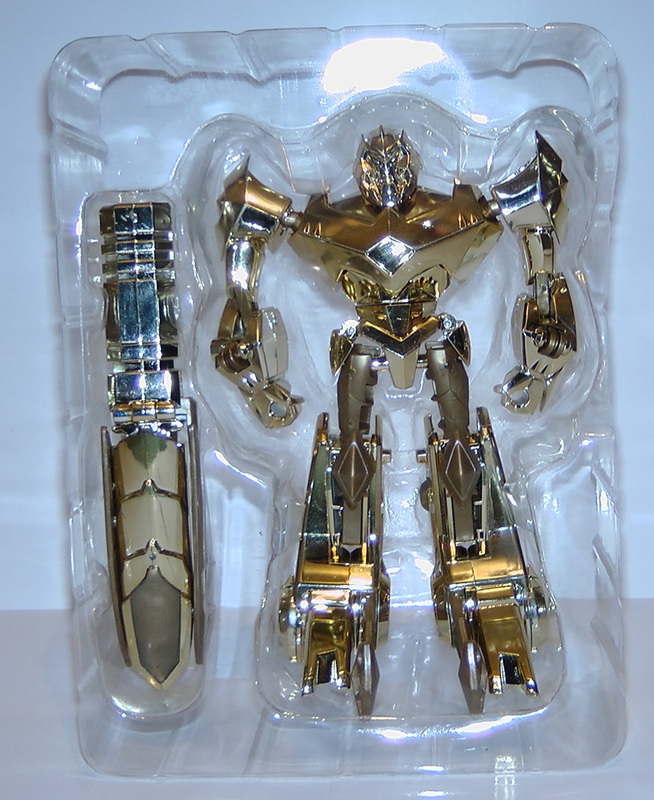 The toy will not be officially released for another 12 days, and at the time of writing I believe two of this figures have appeared on ebay (neither were this figure) which is significantly less than the number of Gold Primes that were leaked out before that figure was released.